Every March, thousands of thinkers, futurists, and creative people from nearly every industry flock to Austin, Texas to take in the trends and innovations shaping the future of film, technology, and music. This report by WPP Health & Wellness covers the growing ubiquity of health as evidenced by the surge of the festival’s health track – including patient centricity, data, social responsibility, and the new .health domain name! Every January, tens of thousands of healthcare CEOs, investors, and business development executives descend upon Union Square and the surrounding areas in San Francisco. What once started out as a single conference, hosted by J.P. Morgan, for large life sciences companies to present quarterly investor updates, has turned into an entire week filled with hundreds of additional parties, conferences, and speaker events for everyone from diagnostics to digital health; biotech to blockchain. 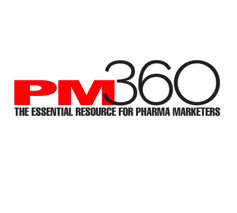 .health was selected as part of PM360’s 6th Annual Innovations Issue published each December. This issue was established to serve as a guide to the year’s most innovative Companies, Startups, Divisions, Products, Services, and Strategies from within the healthcare and life sciences industries. This comprehensive overview of the year’s most innovative achievements in these six categories helps other companies in the industry to find potential partners and offerings that can help them advance healthcare and life sciences.